After guiding Man City to a Premier League and League Cup double this past season, Pep Guardiola has agreed on new terms to extend his stay with the champions until 2021. As confirmed in the tweet below, the Spanish tactician has committed his future and is seemingly prepared to attempt to build a legacy at the Etihad, provided he can repeat the success of this year and build on it. City finished a staggering 19 points clear of nearest rivals Manchester United to claim the league crown, while they saw off Arsenal in the League Cup final earlier in the season to end the 47-year-old’s wait for his first trophy in England. However, they did fall short in the FA Cup and Champions League, and so strengthening the squad in pursuit of further silverware could yet be in the works for the summer transfer window. 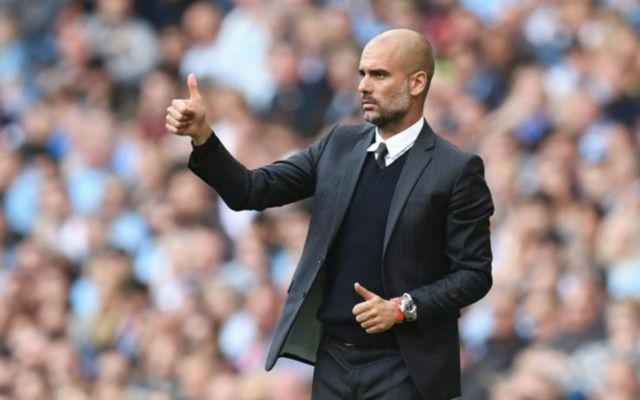 According to The Express though, Guardiola has been handsomely rewarded for his work in Manchester so far, as it’s claimed that his new three-year deal will pay him a whopping £60m in total. Given the impact he has made and the influence he’s having on the club to not only continue their success but to transform the way in which they play, it will be a major boost to all concerned that Guardiola is willing to stay for longer than his previous stints at Barcelona and Bayern Munich. Matters on the pitch will dictate whether or not he’s able to see out this new deal, as just like any other manager, he’ll be under pressure to obtain results. For now though, with their progression and success this seasons in mind, City will be delighted to continue down this path with Guardiola at the helm.